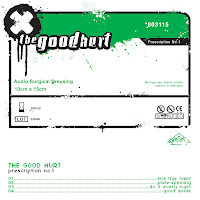 My new band The Good Hurt was formed in Manchester late in 2006. We’re now playing live in the NW England and it is about time that I dropped a little blog about how the band got together and who is in it and all o’ that. 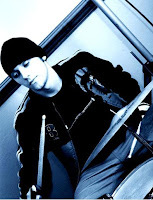 I was wanting to get a live band on the go again – I had been a digi-producer doing mostly hiphop and electronica with a variety of poeple in the UK and I wanted the live feedback of a band setup. 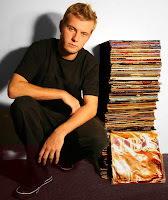 The first addition to the group was Sinik. Sinik is a b-boy and DJ who also does photography and film and we first met when he filmed my improvisational Fusion project ElectroRaga He began filming at 6am, took punches for me and worked his way through the 4 concerts in one day right up until the Midnight concert in the Red Light Area in Manchester. The ElectroRaga day was an outrageous event and because we hung so tough on that day we had an immediate bond – they call him The Sinik but I call him by the less snappy title of Romantic Realist. Sinik is proper quirky and rotates having pink, purple and red streaks in his hair along with some sort of bi-polar happy/sad mania. He adores Devo and The Pixies a scary amount and has some seriously enviable knowledge of funk and hip-hop. Before forming The Good Hurt with me Sinik played a little bit of guitar but owing to our reduced numbers (2) he had to play bass guitar and a few months later and his natural groove is unencumbered as he runs over the frets like his knuckles and knees used to do on lino. It’s a beautiful thing. Here are some links/downloads of our little two piece demos that we did at the time. This blog/podcast is the only place that these demo’s are available so feel free to download/share. We really wanted a drummer and after some searching on various bulletin boards and myspace we were lucky enough to find Tree. He’s 17 but he plays like he’s been living out of a transit and rocking it for years beyond his age. The first rehearsal was great and we knew he was ‘the one’. Tree got stuck right into the mix and our dynamics opened up deliciously – the set grew and we managed to turn from roar to whisper in a heartbeat. Tree plays all the time and does some pretty avante garde projects on the side including Carcophony which he’ll be putting on at Glastonbury. It’s a large military jeep customised with loads of drums and a PA that Tree and another drummer rock out in and on top of. It’s something else alright. After our first gig Caroline from All FM asked us if we could do a live spot for her show Funky Drive which we were happy to as it gave birth to our acoustic set. You can hear the audio of it here or by clicking on her pic – we play four tracks and chat a bit about current events aswell as some avante either or pop quiz questioning.. When we got enough jams together and after we had played another couple of gigs we decided to record a demo. We do it at Sankeys Soap. We did it live and in a day because it was cheap and we wanted to get the energy of some first takes on tape to match the excitement we were having in rehearsals. Dave Thomas engineereed and mixed it. We recorded 4 tracks and called the EP Prescription No 1. A friend did the NHS style graphics for the artwork from a spec by Sinik and me. Kick This Habit Of You is deliciously punk rock and Spinning Plates, which sounds a bit like early U2 aka Red Rocks period, saw us use the synths a bit more which were slowly creeping into the set and every song. In among the bluster Good Souls, a song I first wrote when I arrived in Manchester early 2006, showcases the band playing in a classic sensitive mould. The demo began to get us gigs no problem. The Good Hurt don’t contrive any sort of identity and instead we dig the challenge of breeding an eclectic yet coherent output. We’re not a rock band, we’re not a new-wave band, we’re not a pop band – we’re simply The Good Hurt. Each live show gets better than the last and the set is slowly being honed into a missile that we are aiming at the UK music biz.